I use only the highest quality Australian-sourced ingredients. I use a mixture of organic, natural oils and butters as well as essential oils and fragrances. All my products are vegan and are free of parabens, preservatives, and phthalates. I do not use palm oil in any recipes and pride myself on using only sustainable, eco-friendly ingredients. Incredibly moisturising for your skin & produces a bubbly lather to the soap. 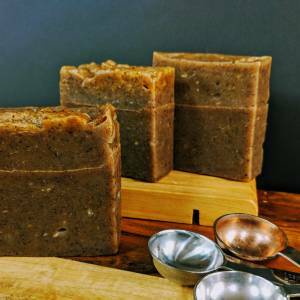 It also makes for a very hard, long lasting bar of soap, and gives the soap the same ‘cleansing’ effect of mainstream products- without the awful stripping of natural oils of the skin. 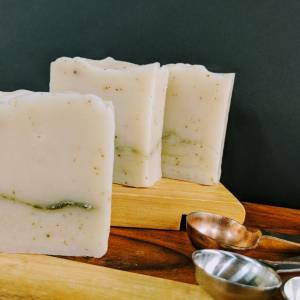 Olive oil is also moisturising, and makes hard, long-lasting bars of soap. It is an exceptionally mild ingredient, so it’s great for babies and sensitive skins. Very creamy and moisturising for your skin. I use this as a substitute to palm oil. 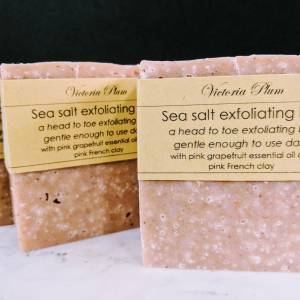 It is rich in lather, but also produces a hard soap for better longevity of each bar. 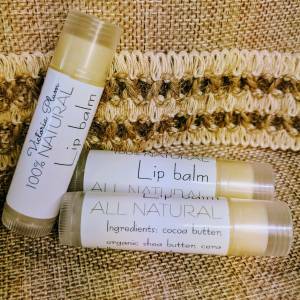 Natural cocoa butter has a warm, soft, gentle scent that gives a natural sweet smell to any product. A highly moisturising oil that is very light and absorbs into your skin well, and helps produce lather. As it produces a softer soap, I use only a low percentage. Helps increase the rich, creamy lather that we all love when cleansing. It’s also a humectant oil, helping to increase moisture in your skin. Mixed with aqua, this is what turns the liquid oils into a solid, and is vital for the soap making process. By definition, soap is a chemical reaction between oil and lye. This reaction is called saponification. The lye is completely used up during the saponification process. That means it is not present in the bars after they’ve been cured. Essential oils do not only create great scents but also have beneficial properties for the skin and the mind and I use these in some of my products depending on what the use. 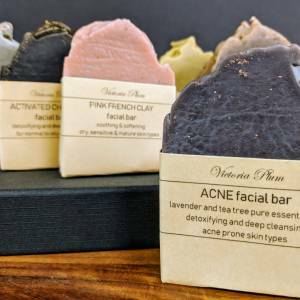 I use only – free, safe, synthetic fragrances to make my soap smell divine while using them. I use a high-quality powder cosmetic pigment for colour in my soap.